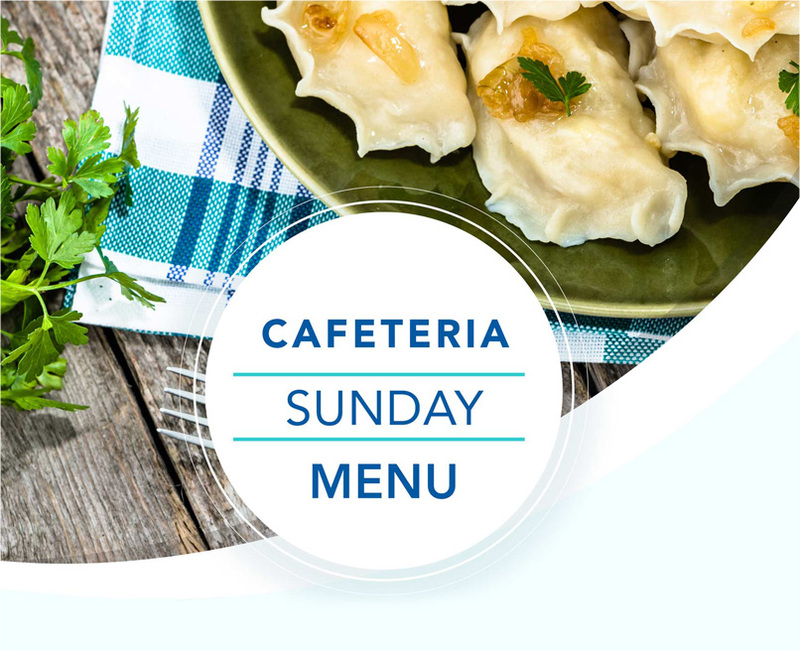 Everyone is invited to our Shrine cafeteria to indulge in some authentic Polish delights; exceptional babka, mouthwatering sauerkraut and of course you cannot go wrong with the traditional pierogi. Explore traditional Polish cuisine here at American Czestochowa! Our cafeteria – includes the main dining area located on the first floor of the main Visitor Center building. 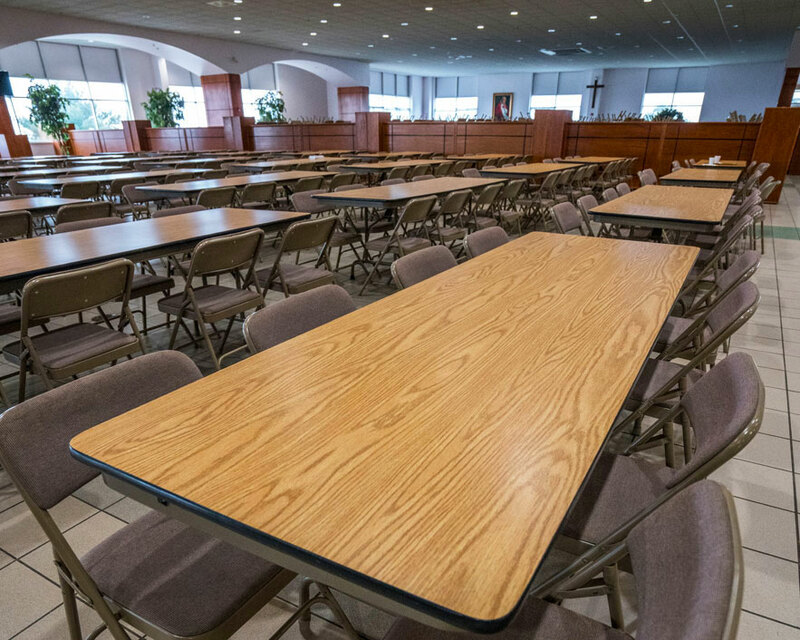 The cafeteria features ample seating, a stage for different performances and events as well as a walkout balcony with a beautiful view of Buck County from the top of the Beacon Hill. It is configured for up to 600 visitors to enjoy family-style meals. Our chefs prepare delicious, Polish-American home-cooked food. Depending on a group’s needs, Cafeteria can be configured as a dining room serviced by wait staff or as a buffet-style banquet hall. OPEN ONLY ON SUNDAY from 10:00 am to 3:30 pm. DURING WEEKDAYS we open for private events only, including funeral luncheons, scheduled tours and more. The arrangements for your special event can be made over the telephone at 215 345 0600 or if you prefer, you may come to our facility in person. Polish Deli is located on the first floor of our Visitor Center Building. Our Deli is an authentic Polish grocery store. We serve traditional bakery and deli products and have a full stock of Polish grocery items. 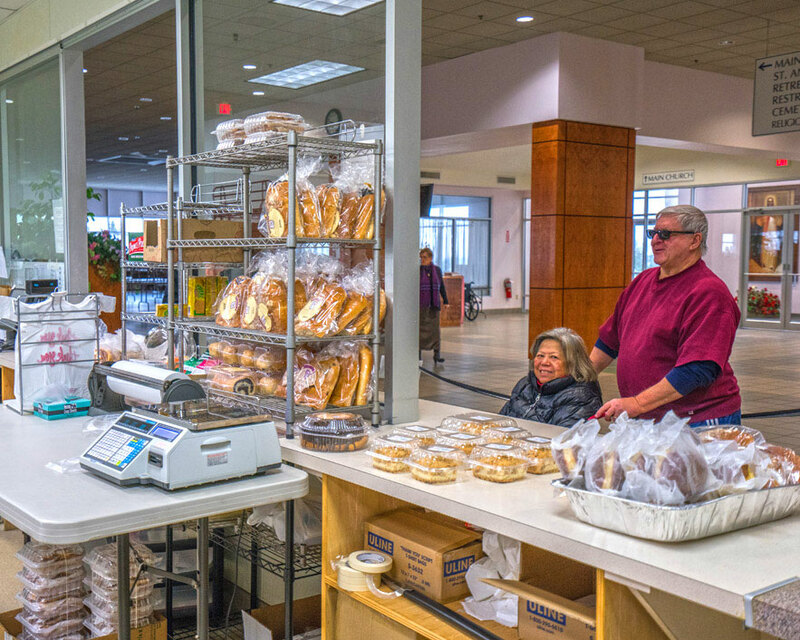 In the Polish Deli, you’ll find Polish favorites such as many varieties of fresh and smoked meats, sausage and ham as well as herring, cheese, frozen pierogi, pickles, sauerkraut, beets, mustard, condiments, seasonings, juices, candies, sweets and much more. Our Polish heritage is important to us, and we love sharing it with our customers of all different backgrounds. POLISH DELI IS OPEN ONLY ON SUNDAY from 9:00 am to 3:30 pm.